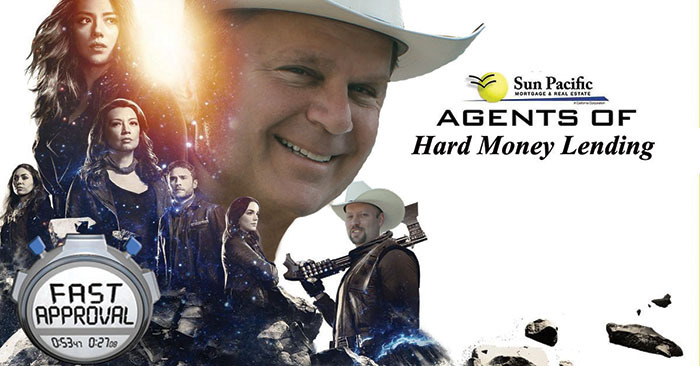 Super Agents of Hard Money! “Awesome on every level! Very professional. Able to secure the perfect loan for my situation. I highly recommend Sun Pacific Mortgage & Real Estate to anyone needing a hard money loan! If there were ten stars available to rate with, I would give Sun Pacific all ten! Thanks guys! !” Borrower J.G. Difficult-To-Prove-Income. And we offer FAST Financing. Call today at 707-523-2099 or email us back with any questions or scenarios. We can be the super lenders you and your clients are looking for!